I have been trying to come up with a raw version that he would love as well, even if we just ate it every once in a while. 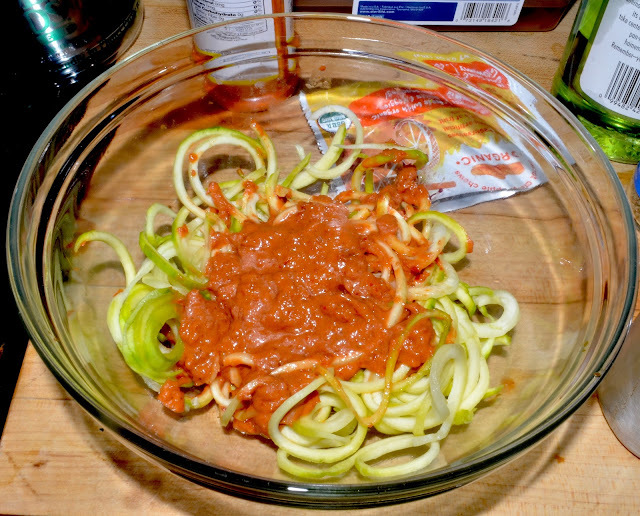 I tried many raw spaghetti sauce recipes, but they all were epic fails. Then I discovered a raw Sundried tomato sauce recipe, and all things change. This recipe was so easy to make and very tasty. Dh still isn't to keen on the raw noodles, but he likes the sauce. Even our baby boy was feining for the sauce, so it must be good. If you don't like raw noodles, then add the raw sauce to cooked noodles. 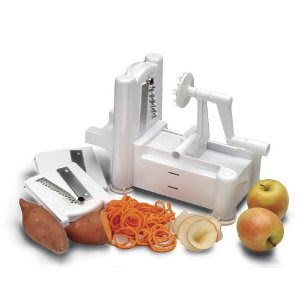 Just use the Spirooli Slicer to make noodles out of zucchini,then just add your sauce of choice over it. Blend a cup of Sundried tomatoes, a cup of h20, basil, oregano, salt & pepper together until a thick sauce is formed. Add seasoning to taste. 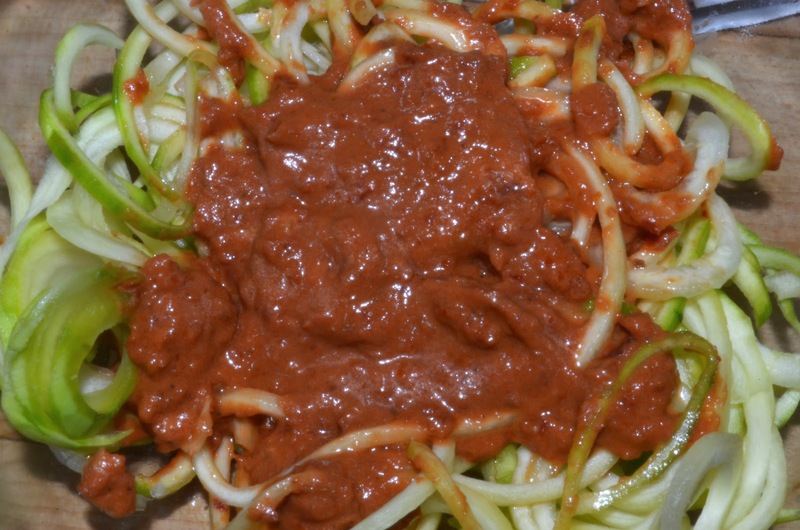 Ladies, Let's Talk...Have you tried raw spaghetti sauce & noodles before? How did you kick it up another notch?